There are two ways to withdraw a payment claim: (a) using the PCS Dashboard, and (b) using the Payment Schedule form outside the project. 2. On your PCS Dashboard, click Withdraw under Action button on the Payment Claim tile you wish to withdraw. Note: You can only withdraw your current claim. 3. 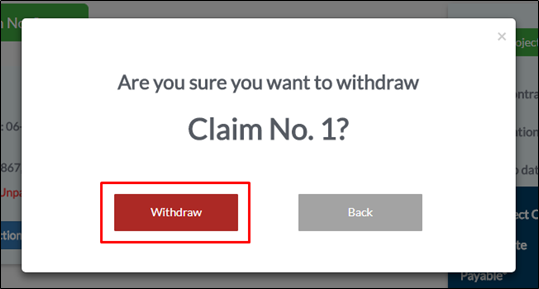 Click Withdraw to confirm withdrawal of claim. From the search bar located in the upper right corner of your portal, type in 'Payment Schedule' and click on the result. 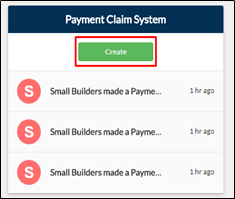 From the dashboard, go to Construction Phase > Payment Claims > Payment Claim System > Payment Schedule. 2. 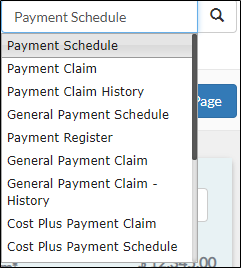 After submitting a claim with an enabled payment schedule, your claim will appear under Payment Schedule. Click Withdraw under Action column on the claim you wish to withdraw. Note: This only applies if the claim has not been assessed yet. When your claim has already been assessed, you can withdraw your payment schedule by clicking Withdraw PS through Payment Schedule History page. 3. A confirmation message will appear. Click OK to continue the withdrawal of the payment claim.